Barry and I photographed the 'Witch's Broom' back in June & July 2018. 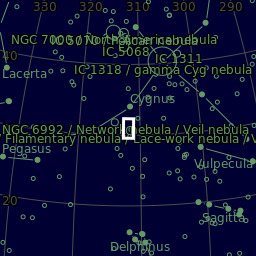 On review, we felt that it would be worth extending the image to include the nearby Pickering’s triangle. This, therefore, is a two panel mosaic of the Witch’s Broom and Pickering’s Triangle imaged between 19 June and 6 August 2018. 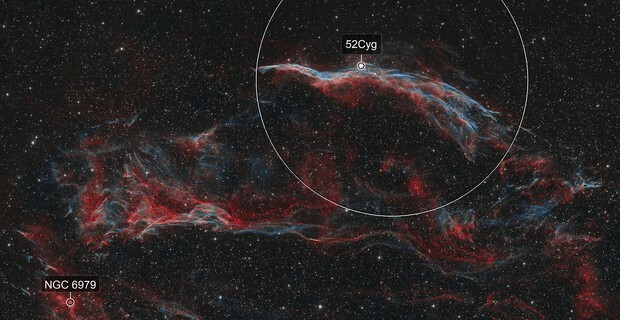 The Veil Nebula complex is a supernova remnant located some 1,500 light years away in the constellation of Cygnus. It is believed that the original supernova would have been visible on Earth around 3,000 - 6,000 BC. Data were captured from a remote imaging rig located in Spain jointly owned and operated by Barry Wilson and me. A total of 26.7 hours exposure.